Ubuntu has less choice and it hasn’t come with some important pre-build parental controls features. In Ubuntu you need 3rd party applications to setup parental control features. 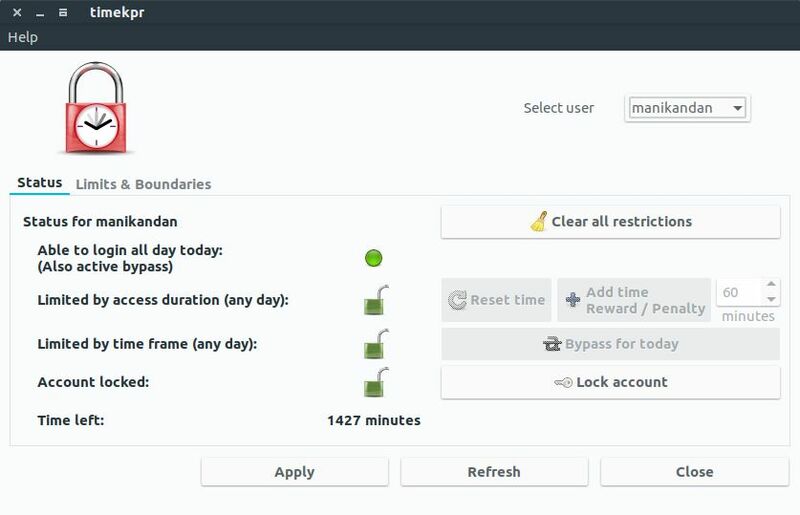 Timekpr is a free Parental Controls software for Ubuntu. It will track and control the computer usage of your user accounts. You can limit your kids daily usage based on a timed access duration and configure periods of day. You can also limit account login time duration or user account access hours. First add its PPA by opening your terminal app by searching terminal in Ubuntu dash. Then run the below command in your terminal app. Then type your ubuntu password. And hit enter key confirm the PPA addition. Then type the below command and hit enter. Then execute the below command in terminal to install Timekpr on Ubuntu. Type Y and hit enter to confirm the installation of Timekpr parental control. After the successful installation of Timekpr parental control siftware restart your pc. Just type timekpr in the ubuntu dash search field. Then click timekpr control panel and type your ubuntu password to open it. In the Timekpr control panel, the status tab shows an overview restrictions placed of the selected account. here you can configure time frame, quick changes. You can also remove all limits by clicking the “Clear all restrictions” button. It also has some useful functions like Reset time, Add Time Reward/Penalty to your child, Bypass for today and Lock. 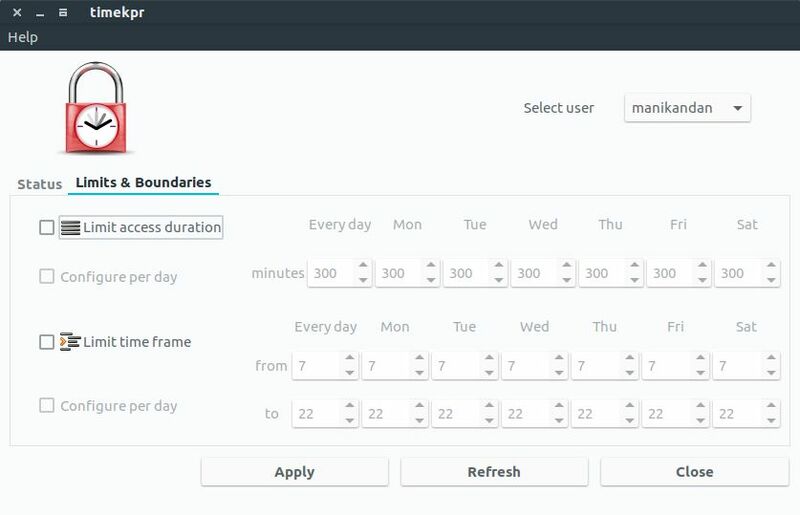 In Limits & Boundaries section you can set the access duration and time frame restrictions.